Chaos on 'Deal or No Deal' after problems with the red boxes! Dave the vicar is playing for the £250,000 when halfway through his game he asks for fellow contestant Kirsty to 'open box number 2'. Kirsty obliges and to everyones shock there is no number in the box, just some black tape that should have been displaying a card that showed the amount! Dave the vicar declares that 'its an Act Of God' and a look of panic comes across Noel Edmonds face. 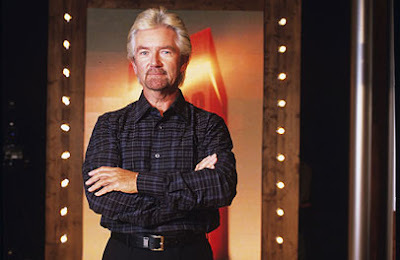 Amid the chaos the cameras show Noel Edmonds going backstage to talk to Endemol / Deal Or No Deal producers. He returns with the missing card, which he keeps hidden and held to his chest. Dave tells Noel that he is 'looking very serious' and in his serious voice Noel replies that 'we shouldn't forget that it is serious and there is a lot of money at stake'. Noel Edmonds then gives Dave 2 choices. Dave the vicar can either abandon the game and start again or the missing card will be returned to the game, the amounts in the boxes be reshuffled and Dave can continue by starting this round again. Dave makes a speech to the audience saying how grateful he is to the Deal Or No Deal producers, everyone else takes a deep breath and the game restarts. 1615 Tuesday 18th March, Channel 4 to find out!